Some patients with COPD demonstrate signs of accelerated aging. In a new study published in the journal CHEST® researchers report that measuring blood telomeres, a marker of aging of cells, can be used to predict future risk of the disease worsening or death. Further, they have determined that the drug azithromycin may help patients with short telomeres, an indicator of more rapid biological aging, stave off negative clinical outcomes. “Previous studies have suggested that COPD may be a disease of accelerated aging for a variety of reasons including its close relation to senescence-related disorders, such as osteoporosis and dementia, and its exponential increase in prevalence beyond 50 years of age. One important biomarker of replicative senescence is telomere length. It is known that short telomeres are associated with common comorbidities of COPD, such as cardiovascular disease and cancer, but it was not known if there is a relationship between blood telomeres and patient-related outcomes in COPD,” explained lead investigator Don D. Sin, MD, FCCP, of the Centre for Heart Lung Innovation, St. Paul’s Hospital, and the Department of Medicine (Respiratory Division) of the University of British Columbia, Vancouver, BC, Canada. Telomeres are specific repetitive DNA sequences found on the ends of chromosomes. Somewhat like aglets, the protective plastic tips found at the ends of shoelaces, they help to prevent harmful DNA events including abnormal genetic recombinations or deletions. Each time a cell replicates, the telomeres become progressively shorter until they cease to divide, a process known as cellular aging or senescence. Researchers used data from the Macrolide Azithromycin for Prevention of Exacerbations of COPD (MACRO) study, which included participants from 17 sites across 12 academic health centers in the United States. This study included 576 patients with moderate-to-severe COPD, who had provided a blood sample for DNA analysis. Absolute telomere length was measured to determine the age of the cells in the blood samples. Previous research had found that telomere measurement in blood leukocytes (white blood cells) was associated with clinical findings in lung tissue. The researchers divided the group into individuals with shorter and longer telomere lengths, using the median value of absolute telomere length as the cutoff. Patients were followed for up to 3.5 years. Researchers found that patients with short telomeres, indicating more rapidly aging blood cells, were 50 percent more likely to have exacerbations (new or increased respiratory symptoms) and nine times more likely to die than those with normal blood telomeres. Patients with short telomeres also experienced worse health status and poorer quality of life. Health status was measured using the St. George’s Respiratory Questionnaire (SGRQ), which included assessment of daily activities, respiratory symptoms, and perceived psychological impact. The article is “Relationship of Absolute Telomere Length with Quality of Life, Exacerbations, and Mortality in COPD,” by Minhee Jin, MSc; Eun Chong Lee, BSc; Seung Won Ra, MD; Nick Fishbane, MSc; Sheena Tam, BSc; Gerard J. Criner, MD; Prescott G. Woodruff, MD; Stephen C. Lazarus, MD; Richard Albert, MD; John E. Connett, PhD; MeiLan K. Han, MD; Fernando J. Martinez, MD; Shawn D. Aaron, MD; Robert M. Reed, MD; S. F. Paul Man, MD; Janice M. Leung, MD; and Don D. Sin, MD, FCCP (https://doi.org/10.1016/j.chest.2018.05.022). 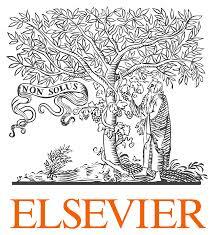 It will appear in the journal CHEST® volume 154, Issue 2 (August 2018) published by Elsevier. This study was funded by the Canadian Respiratory Research Network (CRRN), the Canadian Institutes of Health Research (CIHR), and the US National Heart Lung Blood Institute (NHLBI).